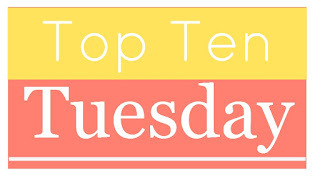 It's time again for my favorite weekly meme, Top Ten Tuesday. If you're up for some bookish fun this morning, join in. 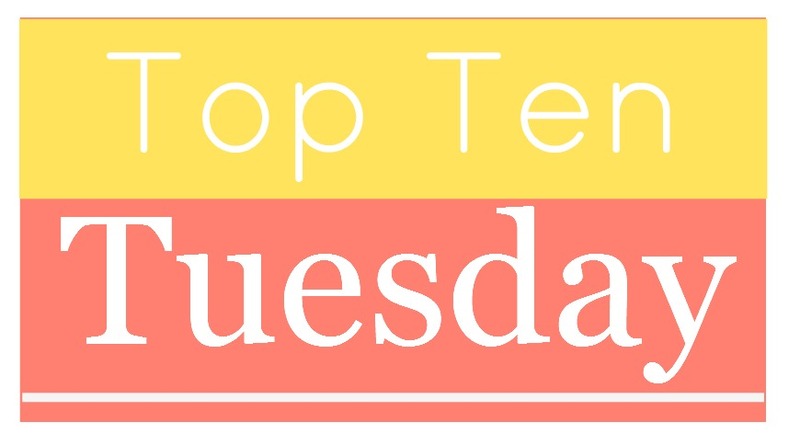 Click on over to The Broke and the Bookish for more information, then make your own list, and bop around the blogosphere to get some great reading recommendations. Easy peasy. 1. Death Coming Up the Hill by Chris Crowe—This award-winning haiku novel about the Vietnam War is set here in Arizona. It touched me deeply. 2. Brown Girl Dreaming by Jacqueline Woodson—I'm a big fan of Woodson's YA and MG books, so I was excited to read this memoir-in-verse. It's a lovely, National Book Award-winning contemplation on race, identity, and discovering one's voice. 3. The Watch That Ends the Night by Allan Wolf—This haunting, evocative novel is about the Titanic tragedy, a subject I find endlessly fascinating. 4. Wicked Girls by Stephanie Hemphill—The Salem Witch Trials are another historical topic that is always interesting to read about. Hemphill manages to tell a very rich story despite the limits of a verse structure. 5. Home of the Brave by Katherine Applegate—Applegate's novels always seem to hit me right in the feels. It's been a while since I read this one, but in my review I called it a "quick, touching story." 6. Out of the Dust by Karen Hesse—I read this impactful, atmospheric novel about the Dust Bowl recently and it has definitely stayed with me. 7. Shark Girl by Kelly Bingham—This one isn't based on historical or world events, but it is a compelling novel that tells an interesting Soul Surfer-ish story. 8. Crank; Glass; Fallout; and other novels by Ellen Hopkins—Hopkins' YA novels in verse are so graphic and raw that I have a hard time labeling them "favorites." Still, they're powerful in their unflinching examination of contemporary issues like illegal drug use, prostitution, sexual abuse, etc. 9. 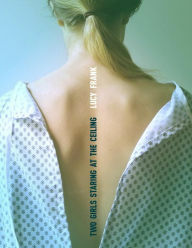 Two Girls Staring at the Ceiling by Lucy Frank—This novel about two very different girls who share an illness and a hospital room sounds intriguing. 10. Witness by Karen Hesse—After Out of the Dust, I'm definitely up for another Hesse book. This one is about a small town in Vermont and how it changes when the Ku Klux Klan moves in. Set in 1924, it's another historical novel-in-verse, a subgenre I usually enjoy. 11. Sonya Sones—I have several of this author's novels-in-verse on my TBR list. I'm intrigued by Saving Red; One of Those Hideous Books Where the Mother Dies; and Stop Pretending: What Happened When My Big Sister Went Crazy. There you have it. What do you think of my list? Have you read any of these? What are your favorite books-in-verse? Leave me a comment on this post and I will gladly return the favor. I'm not sure that I've ever read a book in-verse. I'm going to check out a few of these. I don't think I've read any books in verse, but Home of the Brave looked interesting and after reading your review it looks amazing. I have a feeling that would be a very emotional story. What a great choice for a list! I've only read a few books written in verse, but I have a feeling I'll be checking out a lot more soon. :) Especially that Titanic one! I'm going to echo the other comments and say that while I rarely read novels in verse, I think this is a great idea for a list. I've only read Brown Girl Dreaming, but I'll have to check some of these other books out. Perhaps starting with Wicked Girls. Oh yay! I've only read one book in verse, Elevated by Elana Johnson. I loved it. I'd love to read more books in verse. Thanks for all the recommendations!